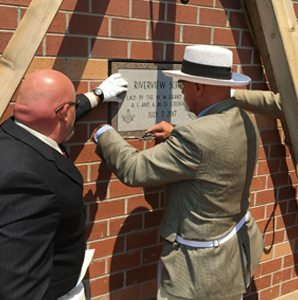 For Master Mason (and Haselden Assistant Superintendent) Chuck Mills, the terms square, plumb, level, and true are more than just a reference to how a good building should be constructed—it’s a way of life. For the past 28 years, Chuck has been a member of the Order of Masons. It touches both his personal life and his professional life, and influences how he conducts himself. Why Did Chuck Become a Mason? To meet Chuck today, he’s a pretty quiet, even tempered man. Apparently, that wasn’t always the case. “Back in the day, I was ornery!” said Chuck. “And I wanted to be a better man. My grandfather was a Mason and I held him in very high regard.” So in 1989 he joined. He went from being a self-admitted bit of a brawler to someone who held a position on the Meeker town council and was the VP of the Meeker Chamber of Commerce. He likes the history and tradition (which goes back to ancient Egypt), and the brotherhood of people with similar integrity, patriotism, and work ethic. 28 Years Later . . . 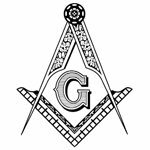 The levels of membership in the Masons are based on ancient stone crafters in Europe who developed guilds where people were taught a craft as an apprentice, thus each person starts out as an Apprentice. In 1989, Chuck was an Apprentice; he’s now made his way through the 32 degrees of Masonry to become a 32nd Degree Master Mason (the highest level) and Shriner. Most modern Masons are “speculative” Masons – meaning they don’t ply the actual trade of masonry, however, Chuck is what’s known as an “operative” Mason. This means that during our cornerstone ceremonies, he can actually set the stone. Chuck’s career in construction and his position as a Master Mason complement each other perfectly. He has performed several cornerstone ceremonies on Haselden projects since joining the team in 2014. 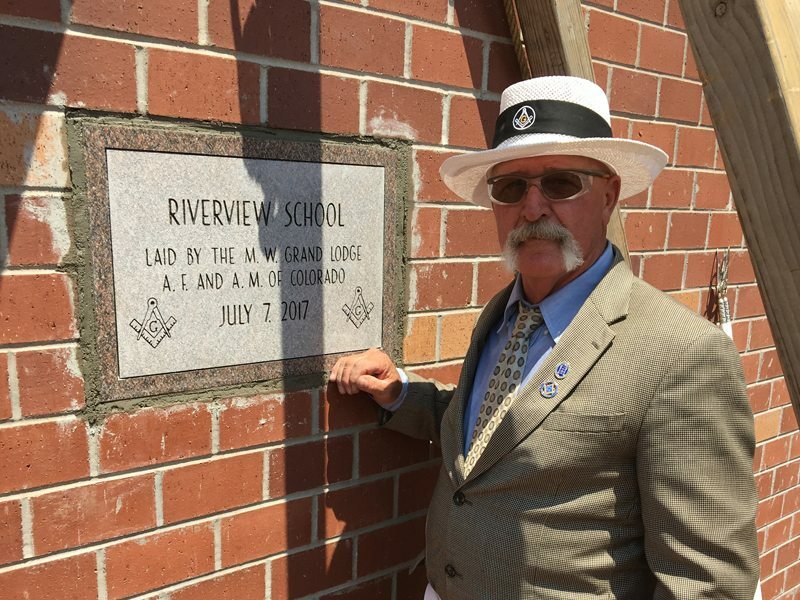 His involvement in the Masons has also helped build his self-confidence, and made him value interacting with people of different cultures, different walks of life, and different viewpoints. He’s just as capable of relating to a member of our Executive Leadership Team as he is one of the craft workers on a project site. One of the aspects of being a Mason that really appeals to Chuck is the work they do in the community. “So many times, people look at a situation and think, ‘What’s in it for me?’ As a mason, we look at it and say, ‘What’s in it for me is what I can do for you and what I can do for my community.’” This encompasses projects such as their recent endeavor to build a discus field for Meeker High School (at no cost to the school) and providing a scholarship (based on GPA, community service, etc.) each year to a young man or woman graduating from one of the local high schools. Chuck is another great example of continuing Haselden values even when you’re not on the job. Stay tuned for our next blog post and the last installment of this four-part series! All Shriners are Masons? Founded in 1872, the Shriners are widely known for their philanthropic efforts supporting hospitals across the world. Originally, the cornerstone was the first stone laid for a building, generally in the northeast corner. It had to be exactly plumb, level, and square because all other stones were laid and measured off of that one stone – it was the benchmark. Today, it’s a symbol that the building is plumb, square, and true; that it is built well and will serve the public for a long time. 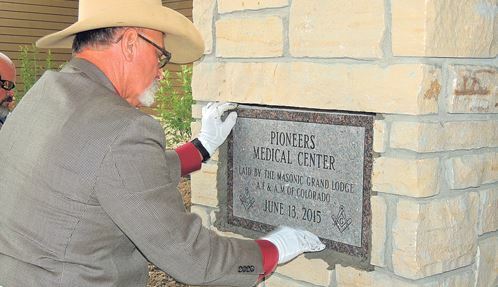 The Masons will not do the ceremony for a for-profit organization, only benevolent institutions such as schools and non-profit healthcare facilities.